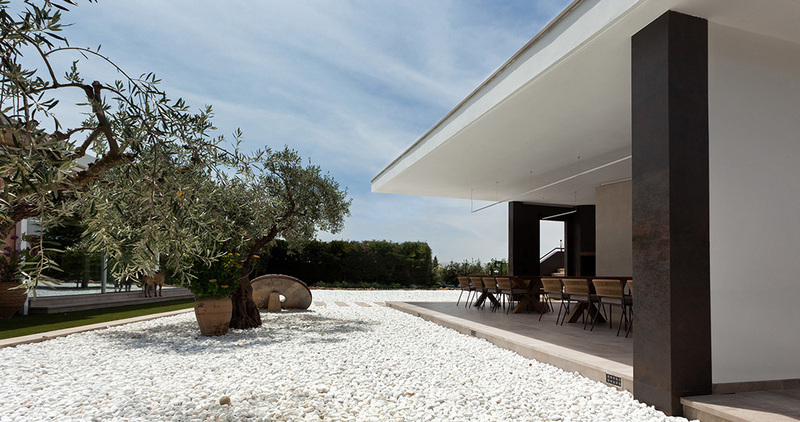 The project portrays a minimal-styled structure with an outstandingly strong personality. An entirely permeable construction whose special feature lies in the fact that its roof slab seems to defy the laws of gravity. Specifically, the structure stands out, and furthermore, it has an impressive unsupported cantilever in place, which creates a floating in the air like optical illusion. This way, one can get an effect of magnificent architectural beauty; and functionally speaking, it provides shade for the rest of the structure. With the aim of creating an atmosphere of harmony and comfort, the Raúl García studio banked on the high-quality materials from the PORCELANOSA Grupo. 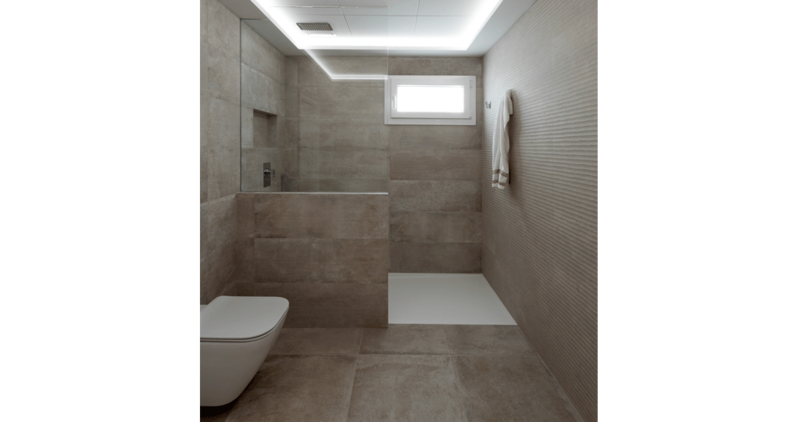 Because of its technical advantages in functional terms and its numerous aesthetic possibilities, the choice was the XLight extra-slim porcelain by Urbatek as the covering for the walls in the covered area. 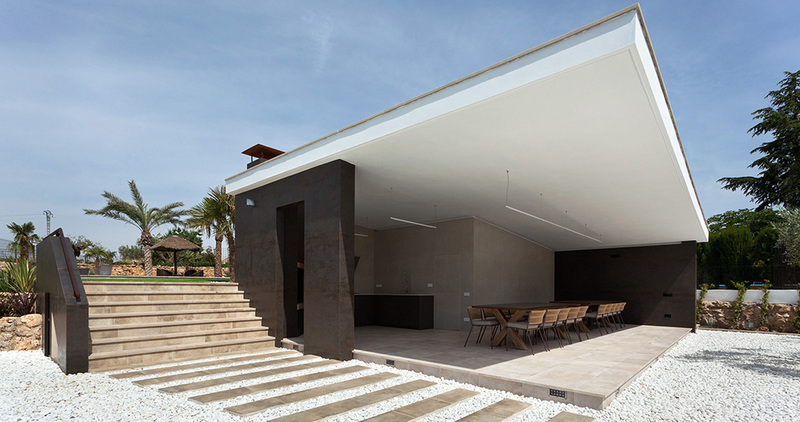 Specifically, the following models were those chosen: on one hand, the microcement-effect XLight Code porcelain, which was installed on the doors that give access to the inside; on the other hand, the XLight Nox extra-slim porcelain was used on the outside wall areas in a Weathering Steel finish, whose cutting-edge look perfectly suits the main house. 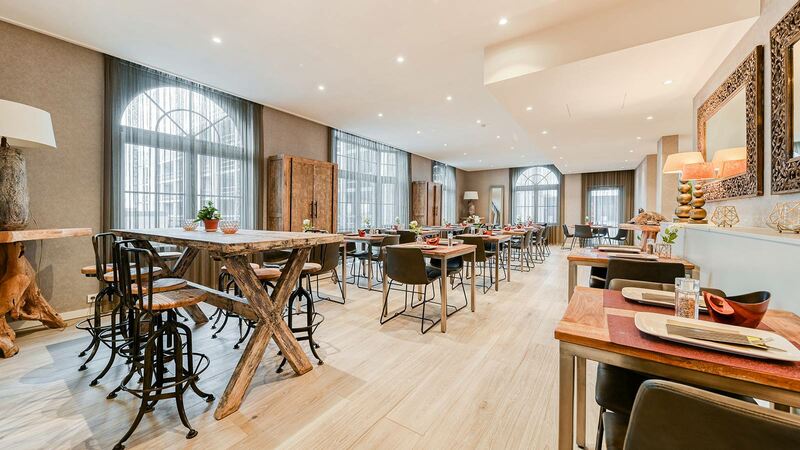 The large-format XLight wall tile by Urbatek turns out to be the ideal choice for this project which completely blends in with the Newport Natural and Old natural flooring by Venis, both of them providing the structure with a warm artisan feel. Butech, the firm specialised in building systems from the PORCELANOSA Grupo, has overseen the installation of the project materials. 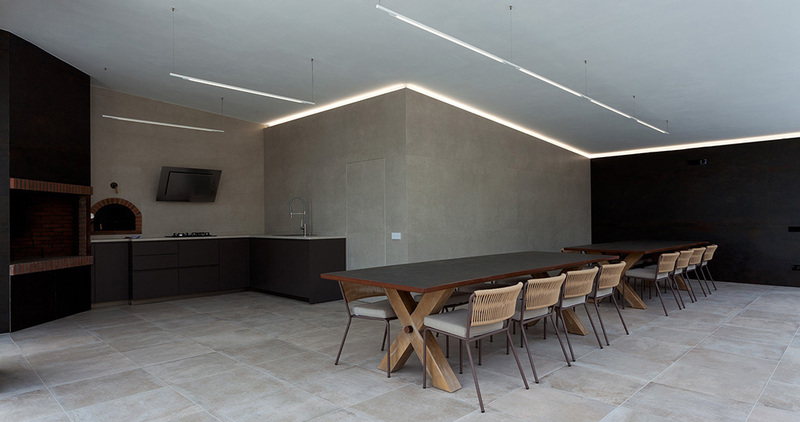 It has made use of the super-flex s2 glue, in other words, a material specially developed by Butech and used when installing the Xlight through-body porcelain. Additionally, Butech has also included the high-performance politech n glue in this project, which has been used with XLight to cover one of the pavilion doors, and part of the furniture, too. 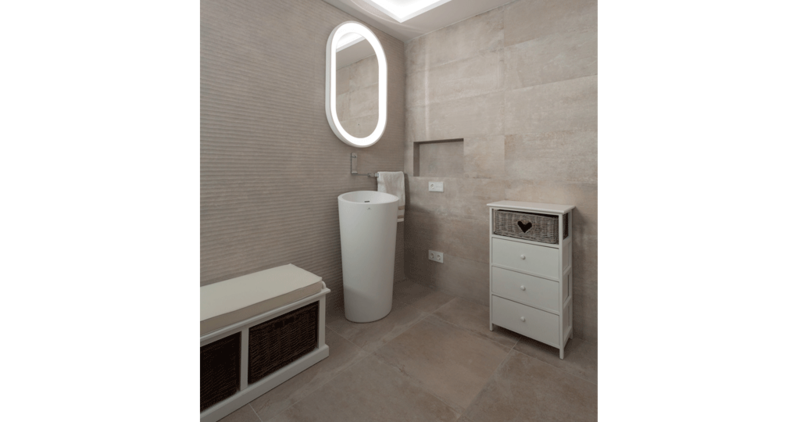 More firms from the PORCELANOSA Grupo are also present in this project, such as Gamadecor and Noken. Regarding the former, one can find a kitchen from the Emotions collection. It is opens up to a wide space, perfect for those family gatherings. Equipment that is designed to impress, it includes a barbecue and a brochette oven which results in being ideal for putting together those relaxing dinners outside in the summer months. Furthermore, this pavilion is provided with a bathroom and changing rooms, which link perfectly to the pool. 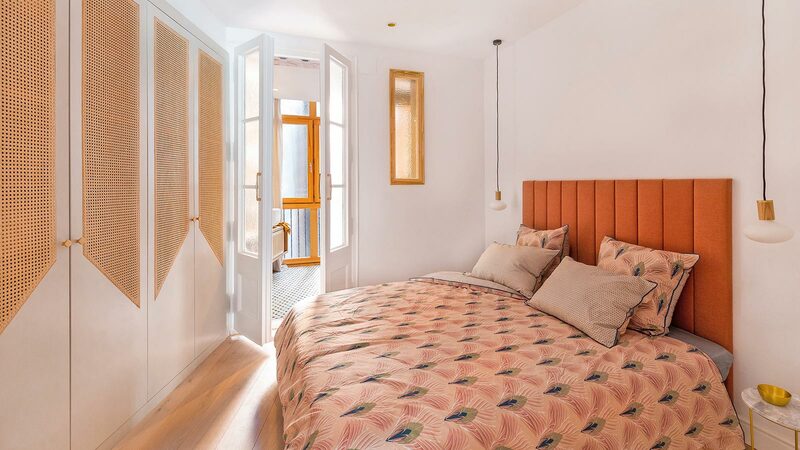 It is in this space where Noken, the firm specialised in bathroom equipment, has provided the taps from the Lounge collection and the Essence C sanitaryware. They are items which brighten the bathroom area up and ensure an atmosphere of relaxation, and at the same time, being of benefit to the user. One can also find some pieces of furniture from the Aro series and an Almond basin manufactured with Krion®, both by Systempool. The lighting is yet another of the special features in the project. 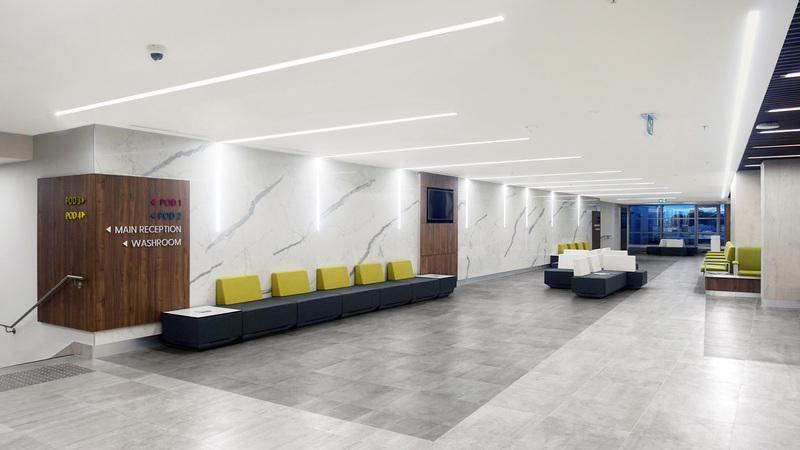 In order to enhance the feeling of light, perimeter lighting has been included, which is hidden behind the slab, and it blends the XLight in perfectly with the Weathering Steel-effect wall tile. 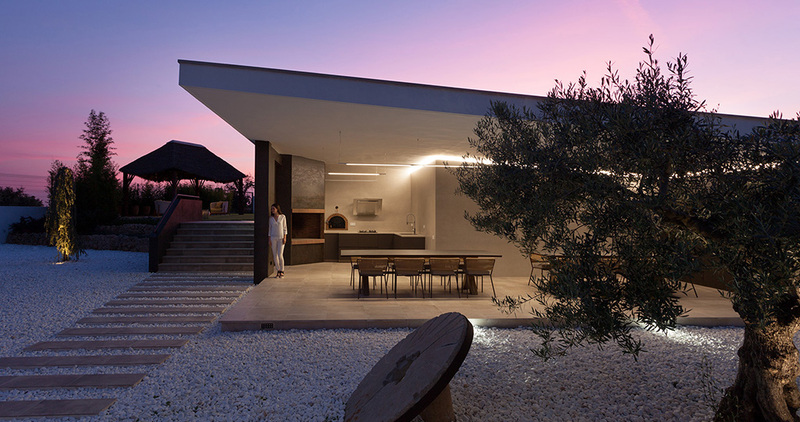 This material and lighting fusion are a unique and modernist set, which blends in perfectly with the main house.